I am all about quick in the morning. I need a hairstyle that I can do and keep for a couple days. For me, a look that is effortless but still looks somewhat put together is perfect! I love that I don’t have to wash my hair every day, and even when it’s starting to look like I have to, I’ll just throw in some dry shampoo to get another day in! And for some reason, when I give my hair a little wave, it seems to take longer to get greasy than if I straighten it. This weekend was my birthday so I definitely needed something that was quick and easy. I styled my hair Friday evening for my Birthday dinner with Zachary, and then didn’t have to worry about it Saturday or Sunday! 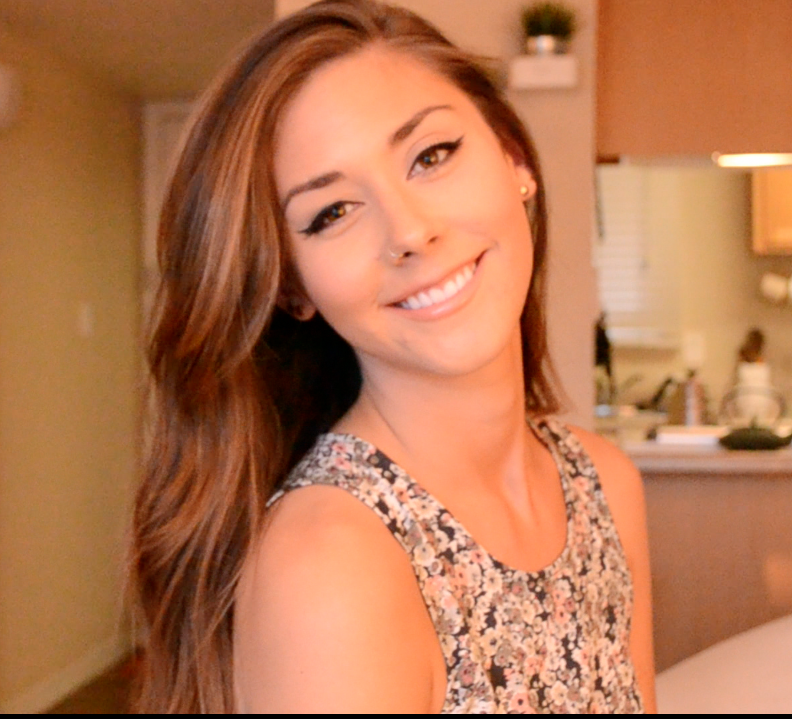 So here is my easy summer routine for simple wavy hair. Here is my routine, including all hair products I like to use! I’ll start by coating my damp hair with an Argan oil. Before I blow-dry, I’ll also smooth in my Marc Anthony Oil of Morocco Argan Oil Blow Dry Smoothing Cream. It also contains shea butter and is infused with keratin and Vitamin E to help keep my hair shiny and frizz-free (or as frizz-free as possible). When I remember, I’ll spritz my hair with a heat protecting spray, and then I blow-dry my hair with my Goody round brush. I spray my hair with my FAVORITE L’Oreal Paris Elnett Satin Hairspray. I freaking LOVE LOVE LOVE this stuff. It is seriously the only hairspray I’ve used for the past like 5 years! It doesn’t make my hair crunchy at all, but it does it’s job beautifully. After my hairspray, it’s time to give my hair another spritz of the heat protectant spray and start giving my hair some wave with my NUME magic curling wand. I ended up getting this guy because I found a groupon or something for it, and it does make the process of curling my hair much quicker than usual! When I’m done styling my hair, I love to smooth in my Bumble and bumble brilliantine. This stuff is amazing. It smooths my hair, while separating my ends and giving a sort of messy slept-in look. And it’s even better the next day. I’ll usually curl my hair one day, and then for the next couple of days, just wake up, brush my hair out, smooth this brilliantine stuff over my ends, and I’m good to go! This is so simple and easy for me, especially for the summer! In the end we only regret the chances we didn’t take. We were born to be real, not to be perfect. ← How I Like to Highlight and Contour.